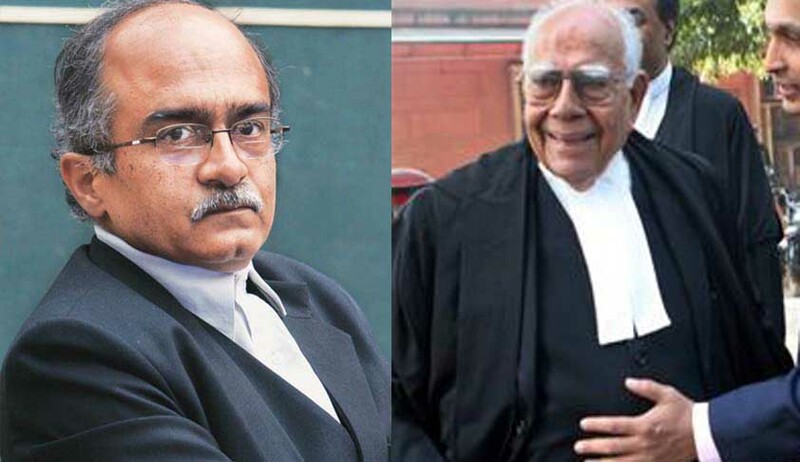 The Supreme Court today adjourned to Wednesday the hearing on petition filed by activist lawyer Prashant Bhushan and the Bihar state government challenging the bail given to Mohammad Shahabuddin by the Patna High Court as a lawyer representing the Bihar’s gangster-turned politician said they had engaged legendary criminal lawyer Ram Jethmalani and he required time to study the case files. He insisted on a week’s time to prepare the case but the bench told him that “there is some urgency ..we cannot adjourn it like this…how many witnesses have been bumped off in these cases”. Rejecting the plea for adjournment, Bhushan said “it should not be permitted as each day witnesses are being terrorized”. The prime ground taken by Bhushan was that Shahabuddin was a "class A history sheeter who could threaten intimidate and even eliminate witnesses in cases pending against him if he continued on bail "given in the most casual manner by the Patna HC". Bhushan reminded the bench that he was convicted in 8 cases out of a total of 58 criminal cases for which he has been booked. “He is involved in nine cases of murder, 21 cases in which the punishment is seven years plus”. Bihar government had earlier argued that SC had refused him bail earlier despite the fact that he had already spent ten years in jail. It is to be noted that state’s Nitish Kumar-led JD(U)-RJD government which is facing political heat over the issue also moved SC seeking cancellation of Shahabuddin’s bail within hours of Bhushan moving it. Bhushan contended that there was “total non-application of mind” on the part of Patna High Court which granted the bail on September 7. Bhushan moved the apex court on behalf of Chandrakeshwar Prasad of Siwan, whose three sons were murdered allegedly at the behest of Shahabuddin. The lawyer has said in the petition that it was strange that the Patna HC decided to grant bail to Shahabuddin when he was convicted and sentenced to life imprisonment for the murder of two of Prasad's sons, Girish and Satish, in Siwan in 2004 by bathing them in acid. The third son, Rajiv, the sole witness to the chilling murders, was killed in June 2014 while on his way to depose in court. Ironically, the same Patna HC had refused bail to Shahabuddin in February and had directed that trial in the Rajiv murder case be expedited. However, after seven months, Justice Jitendra Mohan Sharma of the HC granted him bail. Bhushan said grant of bail to a “notorious history-sheeter“ would affect fairness of the trial as his presence outside would have a “chilling effect on witnesses“. Observing that the Patna High Court committed a grave error by granting the bail, Bhushan has asked how a free and fair trial will be possible when the history-sheeter is out on bail and said a situation will arise where witnesses cannot depose freely and without fear. “The impugned order passed by the Hon’ble High Court suffers from total non-application of mind. The Hon’ble High Court, while passing the impugned order, completely lost sight of the facts that Respondent No. 2 (Shahabuddin) is a dreaded criminal, who has absolutely no regard for the law, and granting bail to him in the present case would let him come out of the jail as a free man even though he is still facing trial in many of the cases lodged against him”, it said. “Apparently, as per the High Court Rules, it is mandatory for the Accused while applying for bail to mention his criminal antecedents which were obviously not considered by the High Court in the present case.Apart from the present case, as per the information available to the Petitioner, he was apparently booked in at least 58 criminal cases of which in at least 8 he has been convicted. Further, apparently, till November, 2014, at least 27 Trials before the Magistrates and 11 Trials before the Sessions Courts were pending against him. He has been sentenced to life imprisonment in at least two cases including in the case of twin murder. The charges which he is facing include murder, attempt to murder, kidnapping or abducting with intent to murder, extortion, theft, rioting with deadly weapon and treason”, it said. “Hon’ble High Court made an error in not appreciating that this Hon’ble Court in Ash Mohammad v. Shiv Raj Singh, (2012) 9 SCC 446, while cancelling the bail granted to a history-sheeter, has held that the High Court while granting bail to an accused must take into consideration his criminal antecedents, nature of offence, the manner in which it was committed, its impact on the society”, it said. Being convicted in many criminal cases, he has been debarred from contesting since 2009 general elections. Apparently, some of the cases could not be proved against him for lack of evidences as sometimes he managed to influence the prosecution or sometimes witnesses were too scared of deposing against him. Many times it has been found that the witnesses including the family members of the deceased turned hostiles”, the plea said.